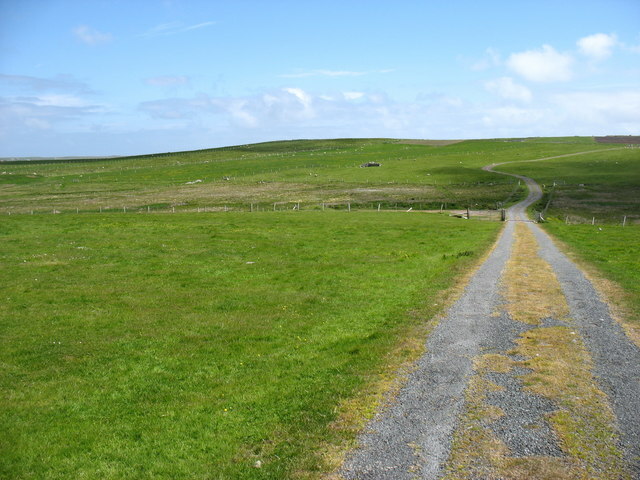 Looking east towards Gord Farm and Quendale. The public are not allowed to drive up this track, which is used by engineers servicing the masts on Fitful Head. But it makes for a very easy walk to this 283m high hill.